Whenever I see Lailey Vineyard wines at an event, I know it’s a good bet their winemaker, Derek Barnett, will be at the booth alongside his staff. Derek is one of the Niagara areas best winemakers and his welcoming nature and infectious enthusiasm for winemaking are as much a part of the Lailey charm as their exceptional wines. 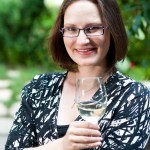 When I started this winemaker series he was someone I knew I wanted to interview. I met with Derek in Lailey’s lovely tasting room on a beautiful fall morning to talk about the upcoming vintage and taste through some of their recent releases. With harvest just completed at the time of our interview and wines beginning to ferment, Derek was enthusiastic about the wines he’ll be releasing in 2015 and beyond – despite fears early in the season that the weather was going to deal winemakers a rough hand. “Everyone talks about it being shorter, but it was a good growing season, although it was a bit late. In early September the weather seemed to change a little bit and we had a really long dry spell and the fruit ripened well. Harvest came in exceptionally well, so I’m excited,” he says. Lailey is one of the only Ontario wineries I know that does futures releases and I was lucky to partake in some from last year’s vintage, so I was a little disappointed to learn that they likely won’t have a futures program this year. However, the reason for this is a good one and I respect that they’re not planning to make it an annual event. The futures program started with the 2007 vintage because fans of Lailey were wanting to order wines ahead of times to ensure they got them – especially the small production wines – and the success of that program encouraged Lailey to do it again, but only when the vintage warranted it. You can still purchase all Lailey wines at their winery – provided they don’t sell out. Their very small production old vines wines are some of the more popular bottles available. Lailey has some of the oldest Chardonnay and Pinot Noir vines in the area – plantings that date back to the 1970s. “There’s always a lot of conversation started around old vines,” Derek says, noting that the wines these vines produce is exceptional, so they continue to keep them separate and create a unique line that is available to wine club members and visitors to the winery. A stop at the winery is something I highly recommend – it’s a beautiful space set on a stunning parcel of Niagara land. The tasting room is a cozy place that fills up fast, but feels much more personal than many of the bigger Niagara wineries. There is a sense that Lailey is still a family business, though it has become a very successful one. 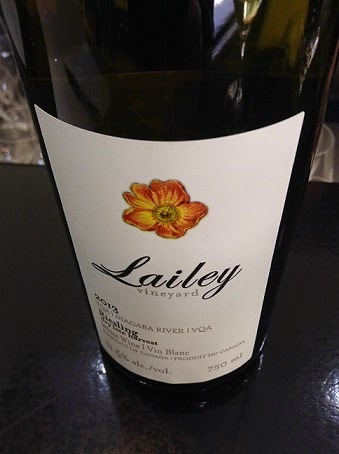 While Lailey wines do pop up on occasion in the LCBO’s Vintages section, I highly recommend visiting the winery to truly experience the full range of wines Lailey produces. 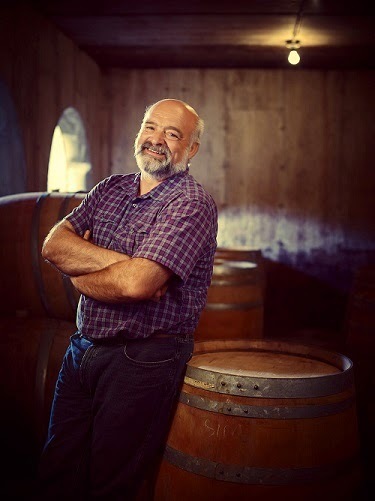 And if you have the chance to chat with Derek about his wines, be sure to take the opportunity to learn more about the old vines and new ideas that make Lailey so special. Sounds like somebody to check out when we get up to that area. Or do they ship to California?